Azerbaijani mafia in the heart of Europe? An apparent clash between Azerbaijani organised crime groups in southern France raises questions around EU immigration fraud and security procedures. The scene where Azerbaijan nationals Rahim and Aida Namazov were shot on 30 March. Source: La Depeche. The Azerbaijani mafia, little known in western Europe previously, arrived in France with a loud bang. Seven bangs, to be precise. 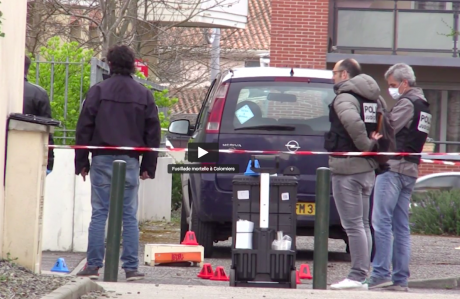 The usual serenity of the picturesque town of Colomiers, a dozen kilometres outside of Toulouse, was disrupted by gunshots in the early morning of Friday 30 March. These were aimed at the car in which Rahim Namazov, an Azerbaijani national, was traveling together with his wife, Aida. She died in the attack, and Namazov’s condition is described as grave as he clings to life in a local hospital. Speaking to reporters in the immediate aftermath of the incident, the mayor of Colomiers described this attack as a likely “settling of scores”, and rushed to call the incident an attack on journalism and freedom of the press. The problem is, no one in Azerbaijan has heard of a journalist by the name of Rahim Namazov. While Namazov arrived in France and was granted political asylum there in 2010, claiming persecution in his native Azerbaijan due to journalistic work, observers in his native country have been unsuccessfully searching for evidence supporting his connection with the profession. In his interview, Karimoglu said that Namazov had been arrested for his participation in a 2001 rally hosted by disabled Karabakh war veterans. 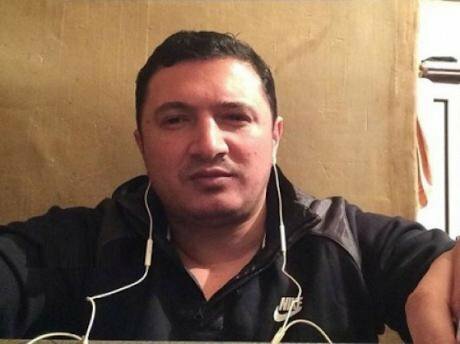 Namazov was sentenced “to five or six years in prison”, but he spent under a year behind bars until his release via a mass presidential pardon by Heydar Aliyev. “Then he disappeared, we didn’t see him. It could be that the chief editor gave him a press card while he worked for us, and then he used that card,” Karimoglu said. While the circumstances of the attack on Namazov remain blurry, this case raises a number of pressing questions on immigration and security procedures in the EU. Upon his arrival in France, Namazov allegedly pretended first to be a journalist, then a criminal gang member, recently placing himself in the centre of a YouTube feud with Nadir Salifov, aka Lotu Quli, an Azerbaijani mafia boss based in Turkey, says Khadija Ismayilova, a prominent investigative journalist in Azerbaijan. She adds that a lot of profanity was involved in the fight, and that Namazov and Salifov promised to kill each other — it was a few weeks after this online feud that Namazov was attacked. “What is certain: this guy [Namazov] has nothing to do with journalism. There is a need for more thorough vetting procedures. The human rights staff at the [EU] embassies in Azerbaijan is too weak and limited. So they lose touch [with the immigration services back in the EU],” Ismayilova says. Rahim Namazov at home. Source: TM Kanal / Youtube. Although there is no trace of Namazov’s journalistic work, he did send an open letter to a little known Azerbaijani newspaper Taraf, outlining the abuse of power in the military — albeit in 2012, two years after claiming asylum in France. His social media profiles don’t reveal any journalistic work either. Apart from scores of pictures of him, Namazov’s social media hosts various memes that suggest he belongs to Azerbaijan’s criminal world. The YouTube videos Ismayilova refers to are a series of postings containing the audio recording of a voice (apparently, Namazov’s), in which he taunts the Turkey-based crime lord Lotu Quli and several of his allies in the most profane manner. He refers to himself in Russian as “Opasniy Roma” (“Dangerous Roma”), positioning himself as a respected and dangerous crime lord, way above Quli in the criminal world hierarchy. According to YouTube statistics, some of these videos have been viewed 160,000 times in the two weeks after they were published. In some of the videos, Namazov hints at Quli collaborating with the government of Azerbaijan. In a video published several weeks before the shooting, Namazov denies rumours on Youtube and Instagram about an attack on him that resulted in a murder in Toronto, Canada. It doesn’t happen every day that a self-proclaimed journalist joins the mafia, but Namazov’s case perfectly depicts the challenges within the EU’s asylum processes and border security. There is little communication between the EU countries’ immigration services. Each of them have different asylum and immigration procedures, as well as different levels of scrutiny and different methods to vet the cases. While it is possible that Namazov had grounds for asylum, if he didn’t, it’s evident that he could have benefited from the lack of standardised verification procedures and collaboration across the EU with regards to the asylum applications processing. Sven Giegold, a German politician affiliated with the Green Party who represents his country in the European Parliament, says the lack of common border control procedures [and considering applications for asylum at the border] make it “effectively difficult for ordinary people to claim asylum, but if you have enough money to pay those who bring you across border, then you have a higher chance to claim asylum.” He adds that to claim asylum in Europe one has to first step foot on European soil. “This is, basically, not easy, because you must either have a [visa] which you do not get easily and not for asylum purposes, or you cross by land or sea. If you look at European geography, it’s very difficult to claim asylum in the first place,” Giegold adds. But even if one made it to the EU and managed to apply for asylum, how does one manage to fabricate a case? Also, while there are scores of fake cases, those truly in need of protection often remain on the outskirts of the European humanitarian assistance system. A screenshot from Rahim Namazov's online address to Lotu Quli. Source: Youtube. Rahimli adds that asylum law in the EU (unlike, for example, criminal law, where in cases there has to be proof beyond reasonable doubt), according to the Geneva Conventions’ regulations concerning refugees, gives the applicant the benefit of the doubt. As long as at least 10% of the facts stated in an individual asylum application can be verified, asylum is usually granted. Giegold says that, in a nutshell, the EU’s current procedures often mean that “many people who truly have reasons to arrive either for asylum or a refugee status cannot claim their right or access their right, but other people who have enough money are able to come.” As a result, those with questionable grounds for asylum, like Namazov, do receive asylum, while people like the Azerbaijani journalist Afghan Mukhtarli (who have grounds to seek asylum in the EU) end up in jail due to their own limited resources and lack of visa. Does this mean though that the EU should make its asylum policies stricter? Rahimli says that increasing the 10% veracity threshold in an asylum claim isn’t going to change things drastically, but will leave those vulnerable and without resources in a much worse position. Instead, he suggests increasing the immigration services’ budgets and developing databases of experts that immigration officials could call upon for advice. As pertinent as these questions are, the problem is that they, albeit unintentionally, may add to to the migration crisis hysteria in Europe. Just because there are fake asylum cases from countries like Azerbaijan, this shouldn’t lead to an assumption that this is a situation across the board. “When you talk about immigration, you are talking about people who aren’t White. By definition, strengthening border control will spur hatred towards those immigrants,” Tulaganova adds. Instead of applying more scrutiny against a particular group or nationality, such as Azerbaijanis, tightening the procedures in general, applying them across the board and not treating one group of applicants with more scrutiny than others should help prevent fraud, Tulaganova says. Haciyev agrees, adding that the EU needs a system where claims are verified carefully with experts in such a way to avoid anti-migrant backlash. Giegold says that if done with certain sensitivity, it is possible to improve migration policies and avoid anti-migrant hysteria at the same time. He also reminds that it is important to make a point: the inflow of asylum seekers does not increase criminality in Europe, and asylum seekers as a group are no more violent than others..
“The goal for common control of the borders can raise the control aspect and also humanitarian standards.Therefore, common control of the borders would enable uniformity for the initial intake assessment of asylum seekers. If things like this happen, this will always feed those who are against migration,” he adds. But while asylum seekers are no more violent or criminal than others, mafia groups from the MENA, Africa, Asia and Eurasia regions are known to penetrate and operate freely across Europe. Namazov’s case proves that even the Azerbaijani mafia, little known in Europe, is deep in the game these days. How do these criminals manage to get into Europe and operate there? Observers seem to agree that most of them use forged documents. Shahida Tulaganova says that forging documents is just like any kind of forgery in Europe. She says that the people involved in forging documents are “always one step ahead of law enforcement, the immigration authorities”. When it comes to border control and verification of passports, the situation resembles that of asylum procedures, which, according to Sven Giegold, vary by country. There is a variation in levels of scrutiny, types of questions asked, types of scanning machines to check the passports, and when moving within the EU, individuals often don’t even need passports, but only national IDs, Tulaganova says, adding that those are sometimes simply checked by the police officers, and not the scanning machines. When one can pick an EU country with less border scrutiny to enter the Schengen zone, and then move within Europe with just an ID, this makes it easier for organised crime groups, including those from Azerbaijan, to operate within the region. As for obtaining those forged passports and IDs, Tulaganova explains that one can play the bureaucratic EU system to their benefit. The illicit trade in lost or stolen passports is a big part of the problem, she says: “There is an EU-wide database, but imagine the bureaucracy of the EU institutions. Plus, if somebody reports a lost or stolen passport and applies for another [one], then you can easily sell it.” Tulaganova adds that by the time it takes time to get a new passport, the old passport remains usable, and it has a value on the black market. Indeed, in videos published in the last several weeks that are widely believed to have been the cause of the attack, Namazov often lashed out against Azerbaijani crime lord Lotu Quli. He alleged that the latter is connected to the Azerbaijani authorities, and cited Quli’s early release from prison in October 2017 in Azerbaijan as something “unheard of” given the charges and his stature. While one can only speculate about Namazov’s claim of Lotu Quli’s connection to the Azerbaijani government, many others also allow the possibility of a connection between crime lords and the Azerbaijani government: “It is a fact that there are Azerbaijani and Turkish government-supported people and criminal groups across Europe. Europeans need to investigate these issues,” says Haciyev.